a)To develop a common innovative protocol for histologic and molecular diagnosis in cancer that will significantly improve the diagnostic precision and the therapeutic approach. b)To set up of a cross-border web based Multilanguage IT platform in order to monitor the cancer risk factors in the cross-border region and to inform the local authorities and the oncologic patients about the results obtained. c)To assess the oncologic health status of the population in the cross-border region. d)To evaluate pathogenic potentials of relevant cancer-related risk factors for cross-border region on human health. e)To develop, based on objectives (c) and (d), of specific prevention and treatment schemes for different cancer types. f)To evaluate the socio-economic impact on the oncologic population, regarding the quality of life and the alteration of educational process and work productivity in order to raise awareness among the local authorities regarding this problem. 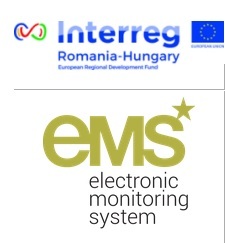 To develop an effective regional network based on innovative technological solutions for the diagnosis and treatment of oncologic patients, with the goal to improve the basic services and to increase the quality of life and life expectancy for the population living on the both sides of the Romanian-Hungarian border. Improvement of preventive and curative allergy-related healthcare services for the population living in the region of Hungarian-Romanian border. a)To Set up the Allergology Compartment in Timisoara County Hospital ”Pius Brinzeu” as regional organization to monitor and treat allergic diseases. b)To set up a cross-border web based Multilanguage IT platform in order to monitor the airborne pollen concentration in the cross-border region and to inform the local authorities and the allergic patients about the results obtained. c)To assess the respiratory health status of the exposed population in the cross-border region. d)To evaluate pathogenic potentials of relevant airborne pollens for cross-border region on human health and to establish the exact periods of greatest allergenic impact. e)To develop, based on objectives (c) and (d), of specific prevention and treatment schemes for different allergens. f)To evaluate the socio-economic impact on the exposed population, regarding the quality of life and the alteration of educational process and work productivity in order to raise awareness among the local authorities regarding this problem. Expected result: To decrease the incidence of allergic diseases by developing joint prevention programs for the population of the cross-border region. Creating an educational network for regional cooperation consolidation (cooperation on librarianship, organizing cultural events, film festival and scientific conferences). I propose a project in which our health institution provide emergency medical assistance and medical transport for patients on both sides of the border, with beneficial results for patients in both countries. The main idea is the increasing tourist activity in a single area that integrates common values of the historical and cultural heritage. All the touristic attractions should be included into a circuit. Ineu town mainly aims to include in the project a medieval fortress (Fortress Ineu). The town also Ineu, could include natural areas the project with a good practices sports tourism practices and gastronomic traditions actions. Partners other than local authority would be accepted if they are eligible. We are interested in starting a cultural exchange platform in the form of an annual event/sports competition/festival/camp that will bring together people and traditions from both sides of the border. 1. Petriș needs to aquire a FIRE TRUCK in order to improve the response and intervention time in case of a fire emergency. 2. Petriș needs to consolidate its main valley/river bed and build dams and bridges along its course, in order to prevent flooding and other damages that may result in case of a natural disaster. Main objective is to lay down the basic elements of a cross-border service system for music pedagogic and performing arts individuals and vocal ensembles active in an amateur field but parallel especially talented to achieve results in semi-professional and professional market circumstances. Direct objective is to ensure the service and infrastructural environment for a pilot-project aiming to analyse on the one hand the impact of the transfer of professional competencies and know-how on the artistic performance quality as a core market characteristic and on the other hand the influence of the creative industry services provided among special incubatory circumstances. Quantitative measures to achieve are as follows: 4-5 occasions of master courses led by internationally well-known and professionally highly experienced choral music experts; 1 occasion of an international conference regarding the creative industry approach of amateur and semi-professional music pedagogic experts, vocal groups and individuals; 1 website as a platform providing online market service area and accompanying that a multi-platform based application for the same purpose; at least 30% increase in the number of cultural goods consumers attending the two participating ensembles’ concerts during the project period. Civic organizational cross-border cooperation and exchange of experiences between 2 or more organizations; increase in the number of long-term (institutionalized) partnerships via a web- and application based platform; improvement of the capacities of the organizations in activities toward creative industry approaches. Our main idea is to renovate the castle in the village of Zsadány Fancsikapuszta. The main objectives besides the monument restoration and preservation of heritage is a well-marketable tourism package which would hopefully increase the economic status of this disadvantageous settlement and the district and contributing to support the aims of rural development and this project is belived to have a multiplicative effect in its long run. The cultural and tourism cooporation between the two nations can also attain good heights due to this project. Construction of a recreation Park named "Tarzan Park"
Create Hi-Efficiency, Low-Noise, Multi-Modal fast connection between the Timisoara International Airport and the cities of Szeged, Mako, Arad, Lugoj and Timisoara. Result: One Multi-Modal HUB and transport infrastructure for fast and efficient public mobility and associated cross-border services. Conservation and safeguarding of nature parks/Creation of thematic routes. Part of an biodiversity integrated project, farmers trading on traditional agricultural practices, preservation of landscape, community facilitation and developmant. Video surveillance system for risk prevention, and emergency response. Aquisition of a fire truck and related necessary equipment to provide fire protection in the area. Soil protection and sustainable use of this natural resource. Awareness-raising campaigns regarding the soil protection- responsible use of pesticides. -	Inter-institutional agreement and implementation of an online information exchange tool. Building a pulmonology department and specialized outpatient clinic inside the hospital area and provision of furniture and medical equipment. 2. Endowment by purchasing an ambulance equipped with specific equiment identified as needed. 1. Increase the number of stabilized patients at Beiuș Emergency Receiving Center. 2. Increase the efficiency of Beiuș Ambulance Service. Efficient fire service by equipping with high performance tools. 1. Increasing efficiency while reducing the intervention time of the fire service by acquiring a performant firetruck accordingly equipped. 2. Increasing the number of equipment for rapid intervention by purchasing 3 portable motopomps that limits the gravity of damage done by floods. 1. A properly equipped high performance fire truck. 2. 3 flood intervention portable motopomps. Development of Information Centre, training of specialists, IT platform, in the field of preventive health care service in order to increase access to high-quality preventive health care services. Restoration and rehabilitation of the 1767 "Urbarialhaus", a former school for the local noble-men, and commerce buro. This will be accomplished through structural consolidation works, refurbishment of the interior space, repair works at the interior and exterior finishes using traditional building techniques, and repairs at the plumbing and heating system with regards to the historic heritage of the building. Tormac municipality needs to aquire a fully equiped 4x4 FIRE TRUCK in order to improve the response and intervention time in case of a fire emergency and disasters. Our project idea is to create a convenient and professional space for meetings with a capacity of 20-30 people. This multi-media room can be used for small interviews or team workshops. We want to rehabilitate a room in order to transform it into a modern space keeping the costs for management and maintenance at minimum. We will provide the attendees with the services, facilities and technology needed to conduct meetings such as: safe and secure Internet and WiFi, flipchart, whiteboard, projector, access to printer, scanner and photocopier, computers, new and modern furniture, multi-media equipment, multifunctional office equipment, anti-luminous blinds, audio equipment, LED TV screen, video conferencing system, teleconferencing system, meeting recorder system, plotter, office plugs, etc. This conference room, once built, will be used to hold training courses, seminars, press conference, live broadcasts, video conference, and training sessions as part of the exchange of experience with the partner city in this project. We mention that in Timisoara City Hall, at this moment, there is no multi-media meeting room. One of the most important internal objectives of today's public institutions is to maintain the best employees and this is possible through good working conditions. When employees have an optimal work environment, they will be more motivated and dedicated to the job and institution. In order to have the best employees, we need to meet all the main job needs. People want safety, comfort and protection from the institution they work in. In addition to this project idea, we want to create a working environment where employees feel good, so we will rehabilitate an office that will be used to generate projects with European funds to ensure the technical and organizational conditions involved in developing working norms and appropriate working conditions. We are confident that rehabilitation of an office and good working conditions are very strong motivational factors. This will have an enormous influence on the success of implementing projects with European funds. We also consider that one of the key elements regarding our activity as public administration is keeping in contact with others public bodies, outside our city and country, in order to commonly stimulate the efficacy of our services. Therefore, another crucial component of our idea is to create a system (both formally and effective) in which the transfer of good practices to take place, including a series of meetings, exchanges of experiences and joint workshops in different areas of our activity, with an emphasis on European structural and other types of international funds. - harmonized standards, protocols for carrying out the specific activity, development of Best Practices Guide. Improvement of laparoscopic surgical treatment for the population living in the region of Hungarian-Romanian border. Improvement of surgical treatment in chronic venous diseases for the population living in the region of Hungarian-Romanian border. Colaboration and experiance changes with the hungarian partners. Cultural and youth cooperation between organisations. Diversification of the communication for an efficient education. Our students (the target group) are preparing in the field of Services, the specialization of Banqueting Organizer (for high school students), and at the vocational school they are preparing to become chefs / waiters. We are interested in developing projects on cultural diversity (we think about activities that will involve raising awareness of cultural differences, the importance of tolerance, the group membership, the specific traditions and habits of each project partner country - we also have a students' folk / folkloric ensemble, so we can involve the traditional music and dances, too). We would like to target having a healthy lifestyle as well (we take into account the benefits of sport in the life of teenagers - thus, we think abut having sports competitions, finding ways to improve the students' eating habits - both by learning how to cook / prepare healthy food and by ensuring the conditions for better-quality services - especially because we have students accommodated in the school's hostel, who dine at the school's cafeteria). This type of project we have in mind would also include the endowing of the workshop - classrooms in the partner schools (the equipment / machinery necessary for the workshops) and the canteen (especially with furniture), something that will help the future generations of students perform as well. - Szeged TV - reaching 300 000 people around Szeged for 24 hours/day. - Event Center (Ifjúsági Ház/IH Rendezvényközpont) - one of the biggest event center in Szeged, organising 700 events/year - including concerts, exhibitions, fairs, balls -, visiting 83 000 persons/year (2016). - D2 - Youth and Media Center, organising program for Szeged youth including Media Club, Dance Club etc. - Partfürdő (Szeged Tisza Beach) Camping and Apartment - 16 hectare green in the city center, great location for summer events. - SZIN (Szegedi Ifjúsági Napok - Szeged Youth Festival) - the oldest youth 4 days long festival in Hungary. - Zsigmond Vilmos Film Festival - is an International 4 days film festival in Szeged, reaching 302 films from 47 countries (2016). The project focusing to cultural and youth cooperation between Romania and Hungary - especially Szeged. Cross-border initiatives for health education and prevention, for improving the lives of rural communities, minorities, vulnerable and older people. Enhancement of cross border institutional cooperation, for developing an integrated framework in the field of public health care and natural thermal waters. •	Authentication: users can log in using either an ccount they create on this platform, or a 3rd party account from a service provider they already trust, like Facebook, GMAIL, or Twitter, securely and reliable, using OAUTH2 prtoocol. •	Users can edit/update their personal information on this platform. •	Authorization: implementing a precise security policy, patients can acces only their own medical records while doctors can edit only medical records of patients they treat. •	Patient can make online appoiments to available doctors. •	Doctors can upload, and edit medical records of patients they treat and share them for research purposes if patients agree. •	The platform will offer long-term storage of medical attributes and will have functions that ensure data are accurate, complete and consistent during any operations. Data Integrity will be ensured by Authorization mechanism that guarantee data are accessible only to those authorized. •	Inventory Logger: is a software module that keep track of a chronological series of audit records related to internal and external actions. Developing active microwave imaging techniques for mammography applications. Extending telemedicine infrastructure for diagnosis and treatment. Microwave images are maps of the electrical properties distributions in the body. The electrical properties of different tissues can be correlated with their physiological state. Detecting cancer through microwave imaging is based on this contrast of electrical properties. The tissue dielectric properties in the microwave region depend on molecular constituents, ion concentration, mobility, free water and limited water concentration, and tissue temperature. The motivation to develop a microwave imaging technique for breast cancer detection is the significant contrast in the dielectric properties of normal and malignant breast tissues at microwave frequencies. More microwave attenuation in normal breast tissue is low enough to make signal propagation feasible even through large breast volumes. In addition, microwave technology is non-invasive, non-ionizing and eliminates unconscious compression of the breast. The reduced size and physical accessibility of the breast compared to other internal organs is also an additional advantage. "Early detection is the best protection" is the philosophy that runs screening programs for breast cancer. An integral component of these programs is represented by X-ray imaging of the compressed breast. However, X-ray mammograms suffer numerous limitations, such as: 25% undetectation of breast cancer, difficulty investigating women's generous bust images correctly and producing inconclusive results. Diagnosis often involves waiting for additional images or biopsies. These limitations of X-ray mammography provide a clear incentive to develop a complementary imaging tool to help detect and diagnose. An ideal tool for breast screening should be low risk, be sensitive to tumors, detect breast cancer at a curable stage, be non-invasive and simple to perform, cost-effective and widely available, involve discomfort minimum and provide easy interpretation and consistent results. For reliable detection of small malignant tumors, significant and consistent contrast between malignant and normal mammary tissues is required. At microwave frequencies, the sensitivity, specificity and ability to detect small tumors is the dielectric contrast between normal and malignant breast tissue. Breast malignant tissues show a considerable increase in the limited water content compared to normal tissues and hence a high dielectric constant. There are three methods for imaging microwave breast tissue. These are passive, hybrid and asset approaches. The principle of operation is based on the increase in tumor temperature compared to healthy breast tissues when exposed to microwaves. This method includes radiometers for measuring temperature differences in the breast. Images show the temperature measured on a quadrant of the breast. For diagnosis, images of the suspected lesion and the corresponding area of the other breast are compared. The hybrid approach, especially microwave-induced acoustic imaging, uses microwaves to illuminate the chest. Due to the higher conductivity of malignant breast tissue, more energy is deposited in tumors, resulting in selective heating of these lesions. Tumors expand and generate pressure waves detected by ultrasound transducers. Two image reconstruction methods, namely thermoacoustic tomography (CT) and scanning thermo-acoustic tomography (SIT), will be proposed. 2. Microwave tomography imaging has a mural scatter problem where the chest is illuminated by a microwave transmitter, and the scattered fields are measured in many locations. The shape of the object and the spatial distribution of the complex permittivity are obtained from the scattered and collected fields. Due to the relationship between object dimensions, discontinuity, separation and contrast in the properties of the inhomogeneities compared to the wavelength, the wave suffers a multiple dispersion inside the object. This results in a non-linear relationship between the measured scattered fields and the object function. A pályázat célja az egyetemi oktatási folyamat és az emberi erőforrások fejlesztése annak érdekében, hogy a felsőoktatási képzés során, a hallgatók megfelelő gyakorlati ismeretekre tegyenek szert, annak érdekében, hogy a diploma megszerzése után sikeresebben helyezkedjenek el a munkaerőpiacon. - ”Orvosi rehabilitáció- fizikoterapeuta életpályamodell” – informáló és felvilágosító kampány szervezése hallgatók számára, szórólapok terjesztése, előadássorozat szervezése, informálás a pályázat honlapján, stb. - a gyakorlati oktatás hangsúlyozása, egy közös interaktív munkafüzet létrehozása, a tantervvel egybehangolt, meghatározott témákörökkel, tanévekre és féléves oktatásra lebontva, mely lehetővé teszi a megfelelő gyakorlati tudás elsajátításának nyomonkövetését, a megfelelő készségek kialakulásának ellenőrzését, a hallgatók értékelését. Dotarea instituțiilor de învățământ cu aparate care să faciliteze accesul persoanelor cu dizabiltăți și dotarea unui centru de zi pentru această categorie. Sprijinirea copiilor cu handicap motor privind accesul la școală, precum și participarea lor la diferite evenimente, excursii, examene. În acest sens există elevatoare diferite modele care ar ajuta elevii în scaun cu rotile să urce scările, astfel ar avea acces la ore. The project will develop the infrastructure of health - care services and monitorized the impact of food diets on the health of the consumers.